To honor others who have suffered and those we have lost. Gene Burden, my friend (and my girlfriend Larissa's father), also had UC. Gene passed this summer from Bile Duct Cancer (Cholangiocarcenoma) that quickly spread through his body. 6 weeks before, Larissa's mother passed from Metastatic Lung Cancer. My father is a recent survivor of Prostate Cancer. My disease has been a constant reminder of an uncertain future as well as kept me unable to ride with any normal ability for the last 18 months. As I begin to heal in my search for remission, this ride has tripled in it’s significance in my life and the lives of those it may help. I will be riding Gene’s beautiful Serotta Fierte, a gift I inherited from him, in his honor. I’ve rebuilt this bike and I’m including his name on the top tube, just like in the Pro-Peloton, to make sure everyone knows I’m only taking care of it for him and to remind myself of why I ride. Eight years ago I started cycling and eight years ago I did my first ride for a cause. It started with a first 100k, followed by my first 100 mile ride, then I began extending my experience to others and organizing teams for the multi-day MS 150. My family lives with the best memories of my Grandfather who fought brain cancer when I was just 5 years old. Thanks to my parents, I grew up with an endless sense of possibility and belief that one day all our little efforts will do away with cancer for good. For me, Leave It On The Road is just that—a ride full of many little efforts. Each pedal stroke from origin to destination with the help of those that share in our cause, together make a big difference. Patrick promised he'd write a bio but he never did, so I'll just do it for him. If you're gonna ride a ton of miles you want this guy by your side. For conversation, laughs, and to have someone to push you a little farther than you probably would have pushed yourself. This dude is always down for an adventure, and this ride wouldn't be the same without him. I don't know how many thousands of miles we've logged in Portland over the last four years, but it hasn't gotten old and I'm looking forward to out kicking him in every town line sprint. My Mom fought, long and hard when she was diagnosed with stage iv glioblastoma back in 2000. She is now an 18year surviver and lives everyday to the fullest as she has been given a second chance at this game we call life. Watching her determination during the years after her diagnosis has taught me a thing or two about positive suffering, smiling when others need it and pushing myself to accomplish what feels out of reach. 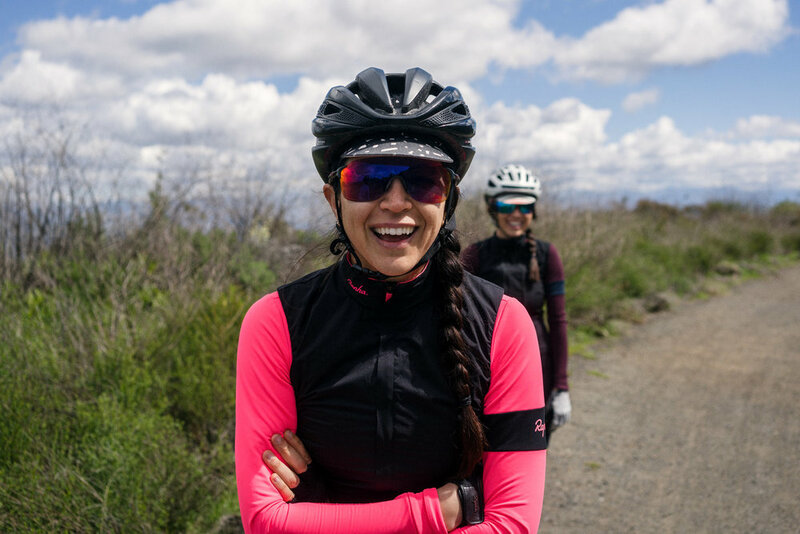 I find myself riding with those who share similar values on the bike and encourage anyone and everyone who has a positive attitude and willingness to push outside their comfort zone to join me whenever they can. My story is not unique. cancer has affected numerous friends and family members in my life from toddlers to grandparents. It's swiftly claimed the lives of some, others have battled for years and a lucky handful are in the clear. It's a disease that does not discriminate. I don't always know the right thing to say or do, but I know that while I'm healthy and able, I want to work towards a future where my child doesn't have to wonder if his loved ones will be okay. I'm not just riding for those that have battled cancer, I'm riding for those who someday will and that in our lifetime we'll have a cure and we'll be able to end it. After being sidelined with a knee injury while running high school cross country, I turned to riding a bike for physical therapy. That rehab turned into group rides with older dudes, then into entering a local junior race, and then quickly turned into racing in national championships and in UCI stage races. I've raced for years after my days as junior. Going from taking it way too seriously to not riding at all. I would have interests in other things in life like a career in filmmaking or things beyond sport. However, I have always come back to the bike. And, though I don't ride to the level I once did, cycling is the closest thing I have to religion. It helps provide a north, a way forward. A way of finding myself. Clarity is so often found in that surreal zone within the pain. It gives you perspective, so you can achieve larger things beyond it. Because, after all, there's no such thing as a bad ride. A few years ago I was staggered when I learned that Mike was going to ride across the USA in an amazingly short schedule. Then I watched it unfold. I learned about his personal commitment to honor his father, and fight colon cancer. I read and watched the beautiful days, and challenging passes. Today I remain awed by his commitment and his tremendous impact. Literally every person in my immediate adult family has faced a fight with cancer. My father, mother, sister, and wife. The opportunity to join Leave It On The Road is my moment to honor their strength – and to bring courage, awareness – and dare I say an eagerness to engage – to many others across the world. Since that first year of LIOTR, my amazement morphed into inspiration. I've always enjoyed riding - which is to say I've always enjoyed the company of my riding buddies before getting mercilessly dropped uphill. I also love a good challenge. My motto this year is "Stoked, and afraid, and I'm diving headfirst into this truly epic ride, with exceptional characters, and I am committed to making a difference for LIOTR's mission, and in the hearts of my fellow riders. It takes love and courage for Mike to have built LIOTR in this way and to have made this tremendous impact. I am touched and thrilled to join the crew. 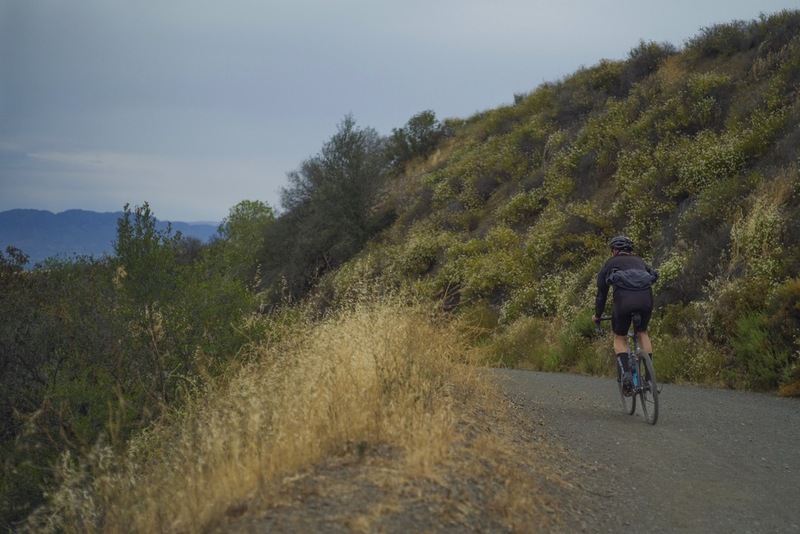 As we set out on this ride, I think of the journey ahead… the miles, the elements, the moments. It may be long. It may be difficult. But the challenge pales when compared to that of fighting cancer. We have all been touched by this disease in some way or another. I know I have. The only thing alleviating the pain of watching others suffer is the hope that maybe, just maybe, I can help in some way. This ride is my way. I am humbled by the journey of those suffering from cancer and grateful for my health and ability to support this great cause by setting out on a journey of my own. There are moments on a bike when you find a rare glimpse of into the larger human experience - something outside of yourself - an insight into thetragedy and beauty of the struggle of living. It’s someone you see or a conversation that’s lingered. Living in that moment - outside of yourself. Three years ago I first stumbled into this idea and it’s been calling back ever since. Riding to help raise awareness and resources. It’s absolutely life-changing. Ride with empathy. Ride with love. Ride with purpose. If riding a bike teaches you anything, it’s that you can always keep going. There’s always more to give. Always something left in the tank. Always a little voice that will assure you that you can make it. Always a friend — or a complete stranger — on the road to get you where you need to go. Live in the moment. Appreciate it. And when you think you’re spent, press on. One more mile. One more pedal stroke against a disease that has taken so much from us all. I'm humbled and honored to turn the pedals for those who can’t. I started riding 5 years ago when some friends convinced me to train for a century. 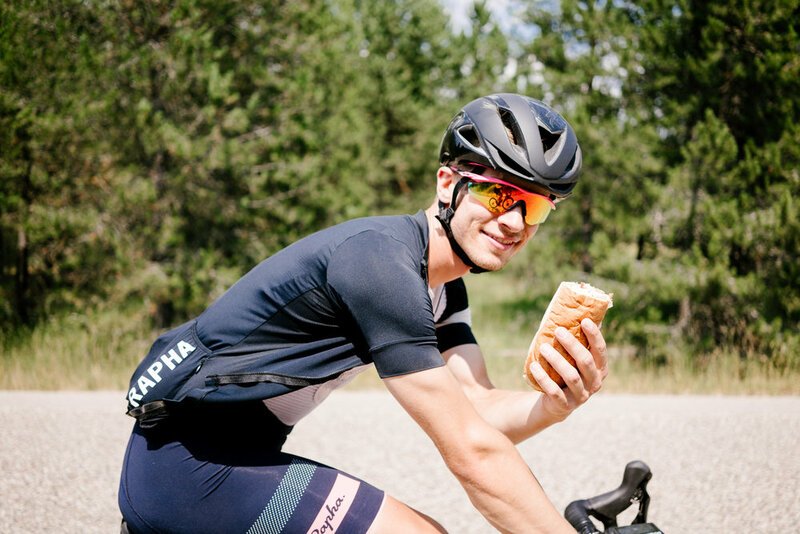 I had never been an endurance athlete, and never fathomed spending half a day on a bike, but within those first few weeks of training I was hooked. I was a person who usually had trouble getting out of bed before noon and suddenly I was up before dawn just to squeeze in a quick ride before work. But my relationship with the sport really took hold after one tumultuous year in which I lost several people close to me. Heart Attacks, suicide, car accidents, and cancer happened at such rapid pace my heart would skip a beat every time the phone rang, anxiety-stricken about the news I would receive next. It was during that time that I turned to my bike for solace. The bike was a way for me to clear my head when I needed to be alone with my thoughts, or when needed, a way to drown those thoughts out by the sound of my heart beating in my chest. And in the aftermath of that year, when the haze started to clear, it was the bike community that I came to count on, again and again, for friendship and laughter. For me, cycling is a means of healing and a way to do good, both for myself and for the community around me.